Welcome to Titan Removals. We provide high quality budget-friendly professional moving services in all postal districts in the Royal Borough of Greenwich. 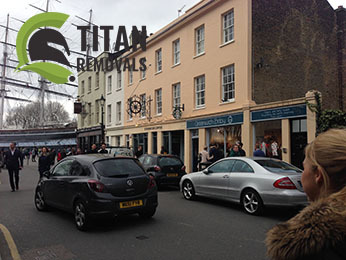 If you have a home removal or an office removal in Greenwich coming, you are at the right place. Have no doubt that the job in going to be handled in a timely fashion. Our licensed professional movers will look after every need of yours. In addition to simply hauling your goods on a truck and drive off, we will give you a helping hand with your end of lease cleaning, rubbish removals and packing. All moving vans our fleet consists of are cleaned thoroughly after the completion of each job. The vehicles are navigated through modern GPS system and come with all the necessary safety gear. 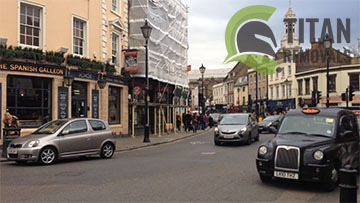 Our skillful drivers employ fuel saving techniques, which means that a man and van in Greenwich from us is not only an efficient and inexpensive service, but it is also good for the environment. After all, what more can a person want from a moving service? It often happens so that prior, during and sometime after a relocation, being a domestic or a commercial removal, you need to put away some of your goods at a secure place. That is why we have tailored our storage in Greenwich service. We have facilities spread across the SE, DA and BR postal areas, so you always have a storage unit near you. You can lease a unit the size of a locker or a large space of up to a hundred square feet depending on your needs. All our storage units can be leased long-term and short term and no minimal contract period policy applies. Every cell is clean and well secured. You can check in and check out at any time you like, and we will even send a mover and a van to collect and drive your goods to and from storage. As with all our removal services, we offer great conditions and competitive prices that meet no competition not only in Greenwich, but also in London as a whole. In any case, if you need further details, have some questions or want to make a reservation, feel free to get in touch with our polite and very helpful customer support service. Our operators can be reached both over the phone and via email. Contact us now and we will tailor an all free no obligation quote for the full price of the precise moving service you are interested in. Greenwich is one of the four boroughs with a Royal status in London. The area is tightly connected to England’s history and culture. Actually, it is one of the most recognizable places in the UK around the world. The reason for that is the fact that the Prime Meridian, which goes through the area, is named after it. The Royal Observatory in Greenwich Park is a UNESCO World Heritage Site due to the contributions to science that have been and continue to be made there. The current population of the borough is estimated to be 268 678. Greenwich is a very green and eco-friendly place. In addition to the royal park, a portion of London’s Metropolitan Greenbelt goes through there. The Royal Naval College is one of the most recognizable landmarks on the territory of the borough. It has been established on the site of the Palace of Placentia and became a college in 1873. It has a magnificent building and even more breathtaking interior which, alongside with the great museum collection is houses, makes it a very popular attraction with tourists. Greenwich is a great place to live in because of its well developed infrastructure and the easy access that it enables to all the major centres in London, including the commercial districts in the City and in the neighboring borough of Tower Hamlets. There are as many as six Tube stations that service the area and over a dozen train stations as well, including some of the busiest hubs in the capital like Westcombe Park, Abbey Wood, Kidbrooke and Woolwich Dockyard.